Serbia is situated in the middle of the Balkans; thus many different ethnic groups are citizens of Serbia. Serbs are the largest ethnic group in the country. Albanians are the largest minority group in modern Serbia (with counting the population of Kosovo as well). Other important ethnic groups include Hungarians, Bosniaks, Roma, Croats, Slovaks, Bulgarians, and Romanians. 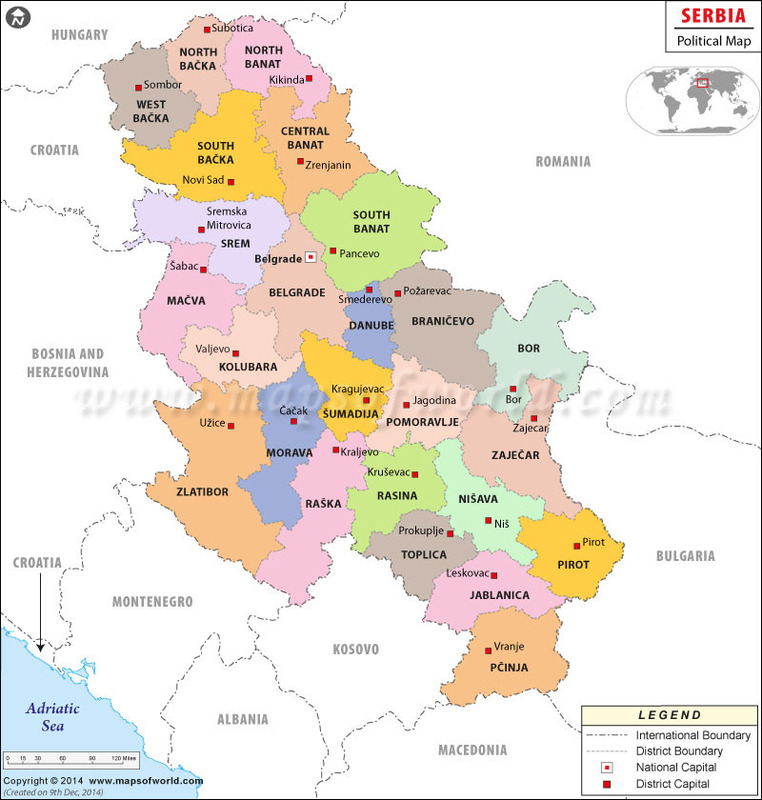 The northern region of Serbia has more than 25 different national communities. The total population of Serbia is 7,120,666 (excluding Kosovo's population) by 2011 estimate. There are various cultural variances throughout the country of Serbia and the Serbian-inhabited regions; the north region inclined to the profile of Central Europe, while the south being characteristic of the wider Balkans and the Mediterranean. Serbia has a total of eight sites on the UNESCO World Heritage list: The Early Medieval capital Stari Ras, the 13th-century monastery Sopocani, the 12th-century monastery Studenica, the endangered Medieval Monuments in Kosovo group, comprising the monasteries of Visoki Decani, Our Lady of Ljevis, Gracanica and Patriarchate of Pec and the Roman estate of Gamzigrad - Felix Romuliana. The Serbian cuisine is an assorted cuisine, sharing characteristics of the Balkans (especially former Yugoslavia), the Mediterranean (especially Greek), Turkish, and Central European (especially Austrian and Hungarian) cuisines. Each region has its own peculiarities and distinctions. The traditional Serbian foods are cevapcici, pljeskavica, sarma, pasulj, burek, gibanica, ajvar. The national drink is Slivovitz.